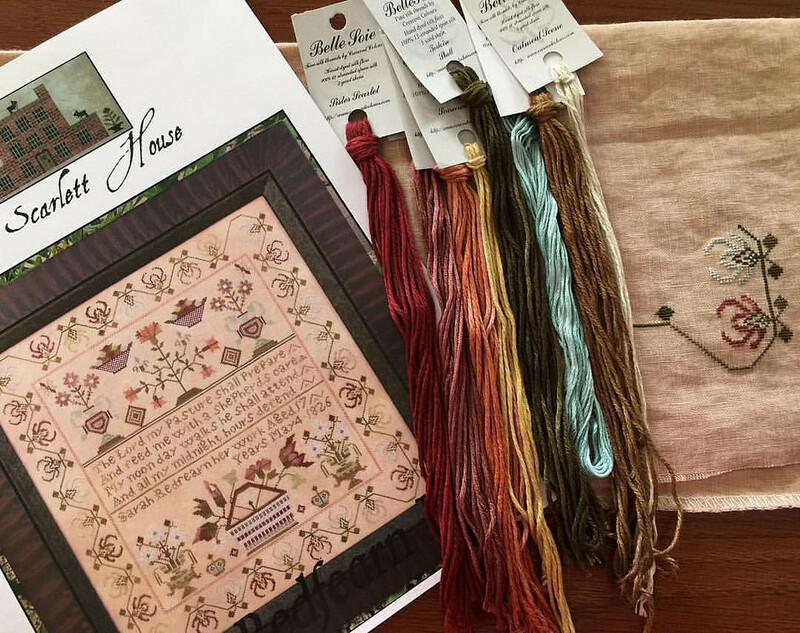 Nicole's Needlework: Episode 7 - More Stitching than Knitting (again)! Episode 7 - More Stitching than Knitting (again)! The Scarlett House "Sarah Redfearn 1826"
Blackbird Designs "1861 - Antique Sampler" from the "In Friendship's Way" booklet. 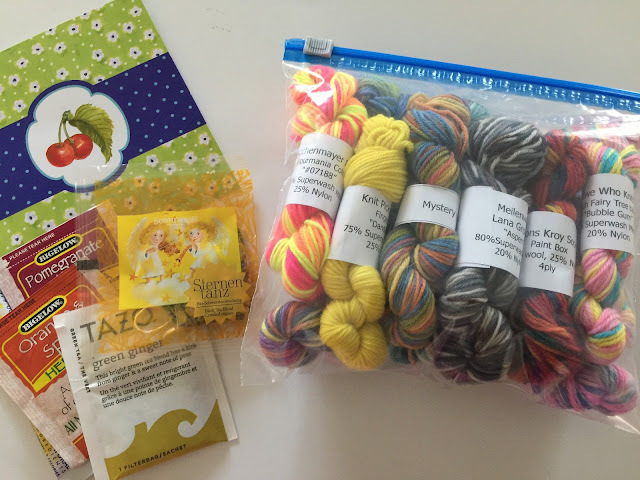 I forgot to mention that I received a sock yarn mini exchange package from Karin (Gehirnlos22 on Ravelry). It was so sweet - Thank you Karin! Your Lizzie Kate is absolutely gorgeous : many congratulations to you !!! 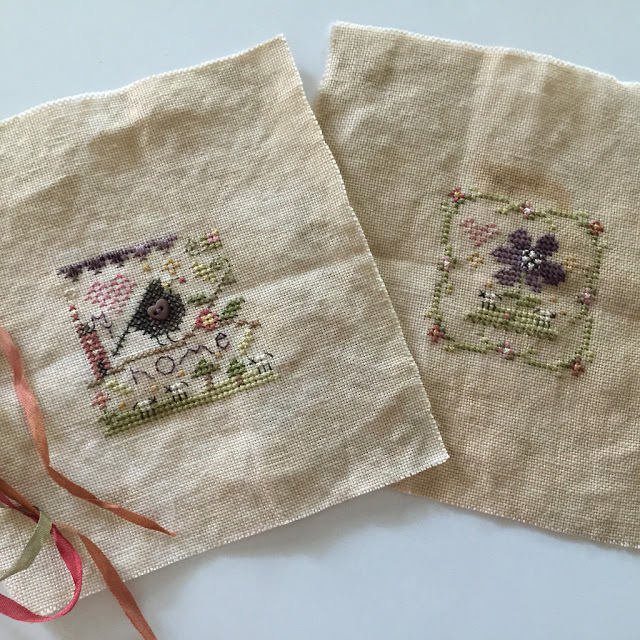 Your little Shepherd's bush are so cute and I also love your Sampler from Scarlett Letter : a wonderful project more !! Thank you Laura! I'm glad you got the charts! Hope you enjoy them! You will love stitching the Summer Hill. 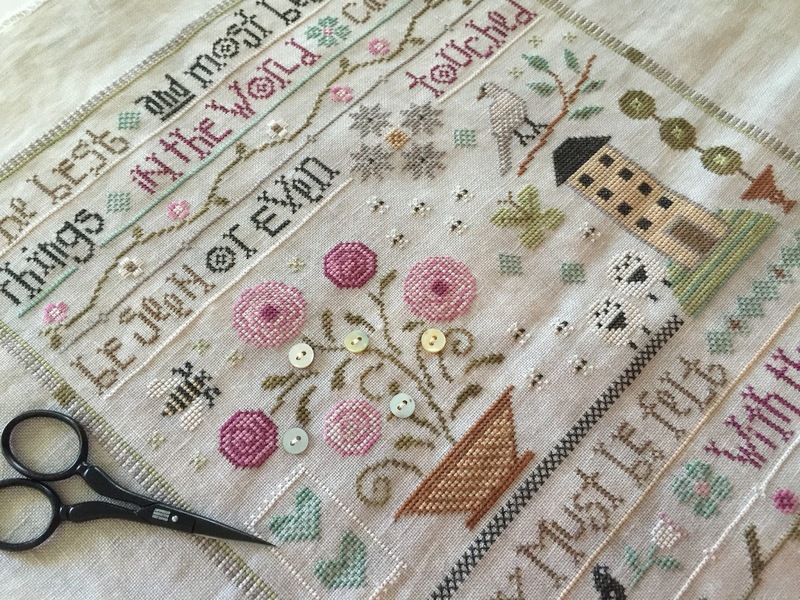 I stitched it 2 summers ago and loved every minute. Just a sweet little stitch. I have it framed but not hung, if you can believe it! For some reason I just love Brenda's Designs. Summer Hill was not my favorite but the journey in stitching it really hit home with me that summer. Love ya! Episode 6 - Lots of Stitching!